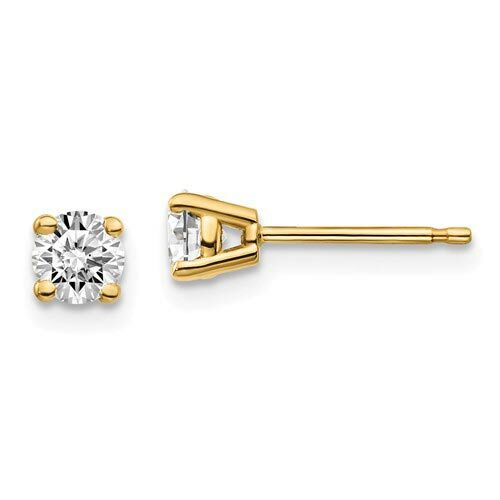 1/2 ct tw True Origin lab grown diamond stud earrings are made of 14k yellow gold. Diamond details: two round lab grown diamonds, 4.0mm round, color E-F, clarity SI1. Includes GSI grading report. GSI-certified jewelry has been assessed and authenticated by the Gemological Science International expert gemologists. Four-prong setting. Friction backs. Approximate item weight: 0.3 grams. Made in USA.